Tha Macallan Sherry Oak is exclusively matured for a minimum of 12 years in Spanish oak casks, handcrafted and sherry seasoned in Jerez, Spain. 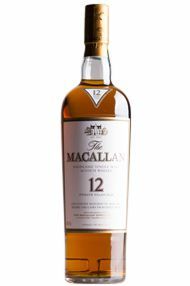 This delivers a classic Macallan style, wonderfully rich in colour with dried fruits, spice and chocolate orange. Macallan was one of the first Highland distilleries to take out a licence in 1824, since when it has been distilled by generations of craftsman on a small estate over looking the River near Craigellachie in the heart of Speyside. A purposefully traditionalist distillery, no short cuts are taken in time, investment and production of the best glass (Kingles Amis). Alongside its unusually small handbeaten copper stills, Macallan is perhaps best known for its emphasis on sherry ageing. Since 1970 and until very recently, the Macallan's entire output matured in sherry wood. In the recent years, Macallans' philosophy for whisky maturation has moved away from its insistence on sherry-casks exclusively, to adopting a variety of cask types for parts of the whisky range. The Fine Oak Range combines mainly ex-bourbon cask matured malts, with discretionary amounts of sherry aged stock to achieve balance and complexity. 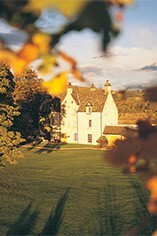 Macallan was acquired by Edrington Group in 1999. The whole production matured in sherry Oloroso casks is sold as single malt, the remaining being sold to blenders, among which Famous Grouse, Cutty Sark, J&B, Chivas Regal, Lang's Supreme, Ballantine's or Long John.